Zee TV is gearing up to new show launches. The channel is launching a fiction-based show, Chhoti Bahu, on 8 December. 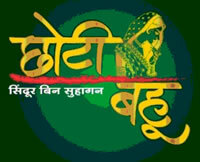 Replacing Parivvar, the show will to be aired Monday – Friday at 7.30 pm. Produced by Tony and Deeya Singh’s DJ Creations, the show focuses on the life of Radhika, the adopted daughter of a temple priest, whose life revolves around her friendship, love and affection for Lord Krishna. She will do anything for the family that has adopted her, in particular her sister Vishakha, the biological daughter of the priest. But once, just once, she lets her good nature get the better of her as she covers up for her sister and that changes her entire life.